According to a new scientific study, life may have existed on Earth more than 4.6 Billion years ago, during the so-called Hadean Era. 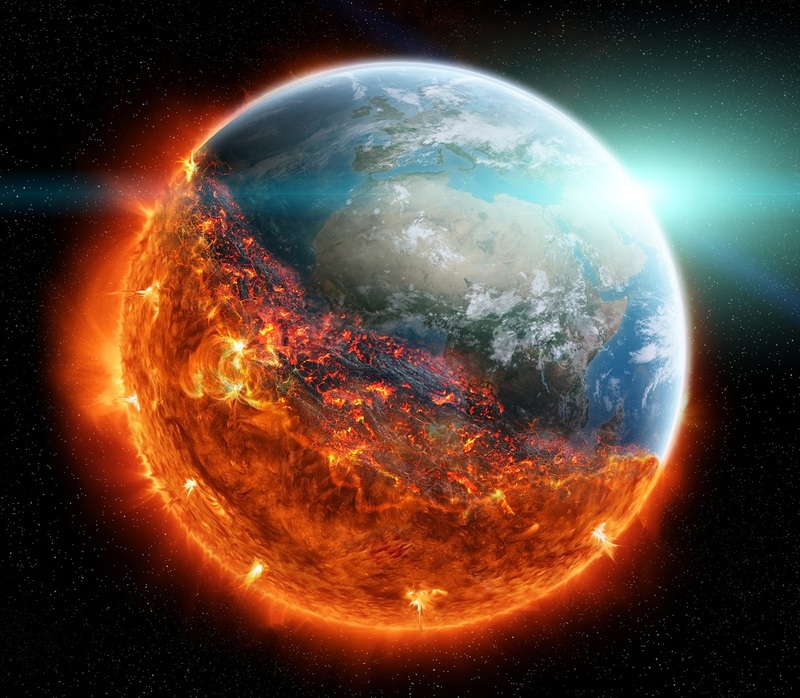 Scientists believe that soon after our planet formed, it was a hellish world with an unstable crust, bombarded by alien objects which caused the temperature of the Earth to rise extremely. Despite the fact that Earth went through hellish early years, a new study claims that life may have survived somehow. Scientists have estimated the direct effects caused by the ‘intense bombardment’ during the Hadean era and discovered that even the harshest scenarios were not enough to render our planet completely sterile. Scientists have found that heavy bombardment from space rock would have certainly heated the subsurface region of the planet, but despite this, would still have remained habitable for microbial life. Image Credit: Shutterstock. The Study, which will be published in the Journal Earth and Planetary Science Letters, written by scientists from the Southwest Research Institute in Colorado, takes a look at the habitability just below the surface of the Earth during the Hadean and early Archean eons. Scientists investigated the upper few kilometers of earth’s subsurfacee environment, taking into consideration the discoveries made by an earlier study on the thermal evolution of the planets crust. Scientists have found that heavy bombardment from space rock would have certainly heated the subsurface region of the planet, but despite this, would still have remained habitable for microbial life. Furthermore, scientists found that the subsurface habitable zone on Earth would have eventually grown across two eons, as fewer and fewer space rocks impacted Earth. Researchers were only able to discover a worldwide sterilization scenario when they simulated more impacts occurring over shorter periods of time. Scientists found that asteroid and comet collision may have caused dramatic changes to our planet by melting Earth’s sheets and altering its surface. However, researchers say that even in this scenario life on Earth may have been able to emerge. For a long time have numerous scientists maintained that life could not have existed on earth before 3.9 billion years ago, but the new findings support previous studies which indicate that a biosphere may have been present some 4.4 billion years ago, reports ScienceNews. “Even in the Hadean, melt sheets have little effect on habitability because cooling times are short compared to resurfacing intervals, allowing subsurface biospheres to be locally re-established by groundwater infiltration between major impacts,” the authors wrote in the study. While our planet looked quite differently billions of years ago, for microbial life beneath the surface “an average day in the Hadean did not spell doom,” lead author Robert Grimm told ScienceNews. Featured image credit: Scientists have long thought that Earth was a sterile hellscape during its earliest eon (illustrated), due to asteroid bombardment. But the heat from those impacts wasn’t too much for life to exist, new research indicates.